Book your private minivan and taxi transfer from Heraklion port to Fodele at the best price guaranteed. TransferPlan will transfer you from and to Fodele as quickly, safely and comfortably as possible. 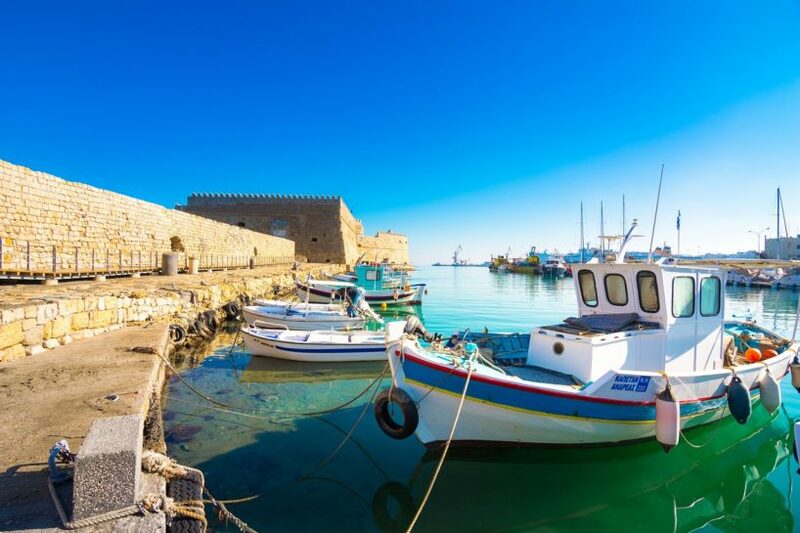 Fodele is a village of the Municipality of Malevizi situated 27km west of Heraklion Town. The idyllic village extends in a green oasis full of orange and lemon groves, colourful flowers and running waters. The fruitful valley of Fodele is crossed by the river Pantomantris and is surrounded by mountains with high trees and caves. Fodele is well known amongst the locals for its great oranges and generally the fresh vegetables. Fodele beach is 3km north of the village Fodele. The National Road connecting Heraklion and Chania passes beside the beach. It's a nice sandy beach, exposed to north winds, that’s why its wavy most of the time. It is protected on the east by Cape Stavros and on the west by the hill of Kastellos, on top of which there are ruins of the old fort Kastelos. The beach of Fodele is formed at the exit of the river Pantomantris or Fodelianos. Its western part is very well organized with umbrellas, sun beds, showers, water sports, cafes and taverns. On the west side, the beach is protected by a small dock, which belongs to a resort nearby. This dock protects swimmers in the western part of the beach. The east side next to the gas station is unorganized and open to the public, but unfortunately very wavy. Fodele is famous because is the birthplace of the famous painter El Greco. El Greco lived here for 26 years and then he moved to Italy, where he became the student of the great painter Titian. Later on, he moved to Toledo in Spain, where he lived till his death. His works have Byzantine and ancient Greek influences, combined with Renaissance art. The house he grew up in Fodele is in the southeast of the village and it operates as El Greco’s museum. In the museum, you can find some copies of his greatest works. Near the house, it is the old church of the Virgin Mary, which as they say inspired the great painter and influenced his works. Fodele is a place characterised by its breath-taking landscape, long history, traditions and legends about fairies that dance by the rivers at nights. It’s ideal for family holidays or just relaxing away from massive tourism. 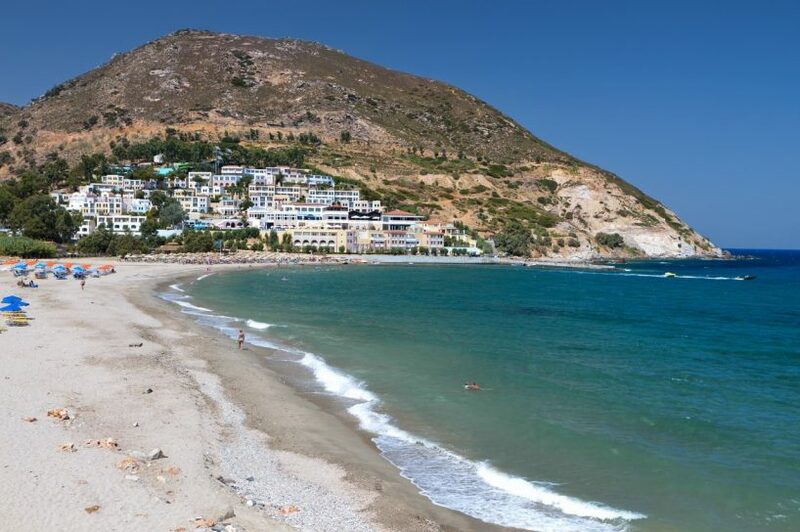 You can also use it as your base for exploring south Crete. Book your hotel transfers Crete now. Enjoy a high-quality service at the lowest prices. Best price guaranteed. That’s why we are Crete’s favourite airport transfer company.